Parliament was expected to approve a multi-bill of “prior actions”; “junior partners” push for a reshuffle. Athens.- Amid a tense debate on a multi-bill of “prior actions” demanded by Greece’s troika of foreign lenders, which will culminate in a vote in Parliament on Sunday, the government is hoping next week to get the green light for the disbursement of further rescue funding as Prime Minister Antonis Samaras mulls a reshuffle to bring some order to his turbulent Cabinet. Athens hopes that officials convening at a Euro Working Group in Brussels on Monday will approve the release of a 2.8-billion-euro tranche of aid that had been due in March though it is quite likely that a final decision will be put back to May 16 when eurozone finance ministers are to decide on whether to approve a 6-billion-euro installment of aid for Greece. Apart from concerns about clinching funding, Samaras faces the task of imposing some order in his Cabinet where inter-ministerial spats last week fueled a mini-government crisis. Although government officials have played down the prospect of an imminent reshuffle, Kathimerini understands that a shakeup could be carried out immediately after Orthodox Easter. It is likely that only a few ministers will be switched around with the most prominent, and closest to Samaras, virtually certain to keep their posts. It remained unclear what would become of Administrative Reform Minister Antonis Manitakis and Justice Minister Antonis Roupakiotis, who clashed over an amendment that would have prevented public sector contract workers from receiving their salaries while appealing decisions to terminate their employment. The premier must also push his ministers to implement new measures with the streamlining of the civil service expected to meet with the toughest resistance. 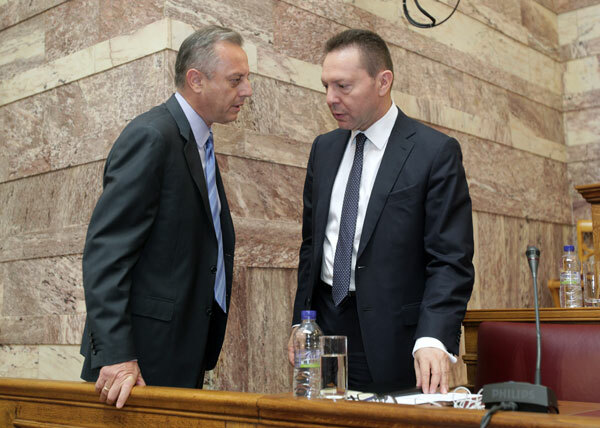 The troika intends to conduct quarterly inspections on the progress of Greece’s civil service overhaul, Kathimerini understands. Finance Minister Yannis Stournaras will also have to get started on overhauling a cumbersome tax collection system ahead of the troika’s anticipated return to Athens in June. Finance Minister Yannis Stournaras seemed confident that Greece’s economy will see recovery, in an interview appearing in the Greek Sunday newspaper ‘Typos tis Kyriakis’. “We are on the right track,” the minister said, noting that the country was 2.5 billion euros ‘ahead’ of targets but stressing that this was no time for complacency. 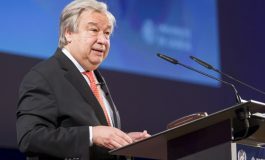 The finance minister warmly praised all three party leaders in Greece’s coalition government, especially Prime Minister Antonis Samaras, and stressed that the effort to get Greece’s finances into order was collective. “As finance minister I am the programme’s keeper, I cannot consent when we have agreed that the deficit will be ‘a’ with measures that will make this ‘a-plus’. I must take equivalent measures or my signature counts for nothing,” he said. With regard to VAT for food catering services, the minister said this was an issue raised with Greece’s creditors a long time ago but Greece needed to provide reliable estimates of what the measure will cost in terms of revenue, in order to convince the troika to agree. “We have handed over studies carried out by independent analysts, by the General Accounting Office, [Alternate Finance Minister Christos Staikouras] has given his estimates that the loss will be of the order of 80 to 85 million euros and that we consider, in fact, that there will be collateral benefits from this reduction so that there is finally no cost. They said that they want to see and study them and discuss it again in June,” Stournaras said. 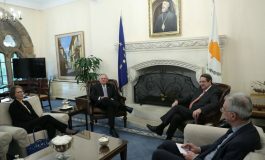 The leaders of the two smaller parties in Greece’s coalition government, PASOK leader Evangelos Venizelos and Democratic Left (DIM.AR) leader Fotis Kouvelis, have both told the ‘Realnews on Sunday’ newspaper that they would like to see changes in the structure and functioning of the government. Venizelos noted that the situation in the country appeared to be coming under control, while it was becoming accepted internationally that Greece must not carry out additional fiscal austerity measures, so that the central issue was now to “highlight the national reconstruction plan as a national strategic target”. “The coalition government of the three parties must serve this aim, both in policy and in function. Both as a political framework and as a formation,” he added. 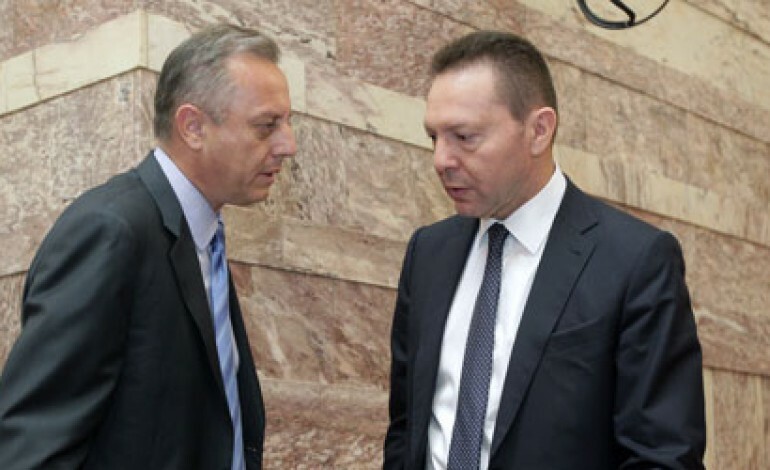 Kouvelis noted that the operation of the government was linked to the efficiency of the government’s work and stressed that it was imperative “to immediately solve any functional problems that have been observed and recorded,” adding that the creation of an informal coordinating body would be useful. “In this framework, we need to see what changes must be made to government structure, exclusively based on criteria of merit. The extended discussion and rumour about a reshuffle harms the government’s efficiency,” he said. Temporary court rulings will remain as an institution but steps will be taken to prevent their excessive use, Justice Minister Antonis Roupakiotis said in an interview appearing the Sunday issue of the Greek newspaper “Eleftherotypia”. The minister said a measure to this effect will be tabled after the Easter holiday, while he was strongly critical of those drawing up the draft legislation he had refused to support the previous week, outlining the reasons for his refusal. Among others, he noted that the wording would have affected employees in the private sector. 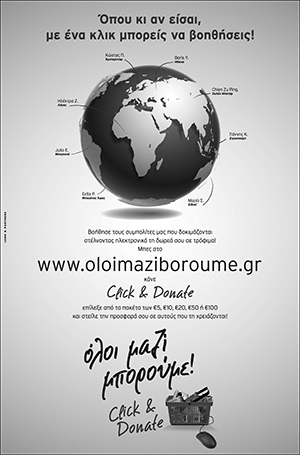 The Greek situation is only a soymtpm of the wrong path to life that humanity has been led down. The present economic system that allows one group (the international banking cartel) to be judge and jury on all aspects of (money) you use as your agent of exchange of goods and services is a parasite sucking all real wealth as it is created to themselves. GREECE AND THE WORLD WILL NEVER REALLY PROSPER UNTIL THE PRIVATE BANKING SYSTEM IS ELIMINATED. Hello After 60 odd years of observing the terrible conditions most human beings have to pass their lives in; I have written a little book in which I point out the cause of all this suffering and list the things that have to be changed so that every individual will have an opportunity for a descent life. A HANDBOOK FOR HUMANITY- (written only to help educate all those who are suffering not as a profit making venture! )Conrad DruryCHANGES THAT MUST BE MADE IF ALL HUMAN BEINGS ARE EVER GOING TO LIVE FREE OF POVERTY, HUNGER, AND SUFFERING FROM UNCONTROLLED DISEASE AND STRIFE.1. Change the money system in every nation to one where the sovereign government has absolute control over it BY:.2. Creating Public Banking and changing the money system in every nation to a non-debt one where the government of each nation has sole authority to create money or inject it into the system..3. Eliminating all private economic activity where the use of “money” does not directly involve the production, procurement, transport, etc of some product or non-financial service except:(1) a stock and bond market (2)business insurance companies (3)a system where any and all private banks operate under 100% reserve and have no authority to create any kind of instrument that can act as money or credit. (VERY IMPORTANT-DO NOT ALLOW MONEY OR CREDIT TO BE USED IN ANY SPECULATIVE VENTURE)4. Establishing an international protocol where the base currency unit of each and every nation can always be traded on a one-to-one basic with the base currency unit of any other nation.5. Establishing in-country firm price ceilings on every item and service necessary to produce, procure, etc. any and everything needed to sustain human life.6. Including a firm and fair profit margin for any entity that uses its wealth or labor in the production, procurement, etc. of anything needed to sustain human life.THEN:7. Establish a full employment program in every nation so that every individual can contribute to the general welfare in some way and receive enough money on a regular basis , in return, to be able to buy all the necessities for life, all the time.8. Focus all non leisure human activity (FIRST) toward education , democratic government, religious tolerance, elimination of all offensive military capability, protection of all natural resources ,the environment, and satisfying the worldwide need for food, clean water, proper housing and the control of disease. The idea of debt is just a smoke screen thrown up by a controlling few (the international banking cartel). If you are ever going to escape this hellhole that YOU have allowed to develop here on earth you must forget all the economic propaganda the controlling elite have completely brainwashed you with! You are human beings and YOU can make any system work that you want to work. That means that any nation that actually takes control of its money system can fund any and all programs needed by its citizens without creating debt!The system controlling the world today is one that benefit’s a few at the expense of the many and is the cause of most human suffering from poverty, hunger, and uncontrolled disease. It is destroying the environment and causing the early death of at least 28,000 children every 24 hours.The necessary changes listed above will not limit personal initiative or prevent any one individual from becoming wealthy but they will make it possible for all to always have the necessities for life. Each and every one of them can be accomplished , and if we as human beings are actually above the animals; they will be! To kill the snake you must attack the head!